One of the things I learned as a child was to never judge a book by its cover. My dad taught me. The way something looks on the outside has really no connection to what it is on the inside. This rationale applies to a lot things...including beer. 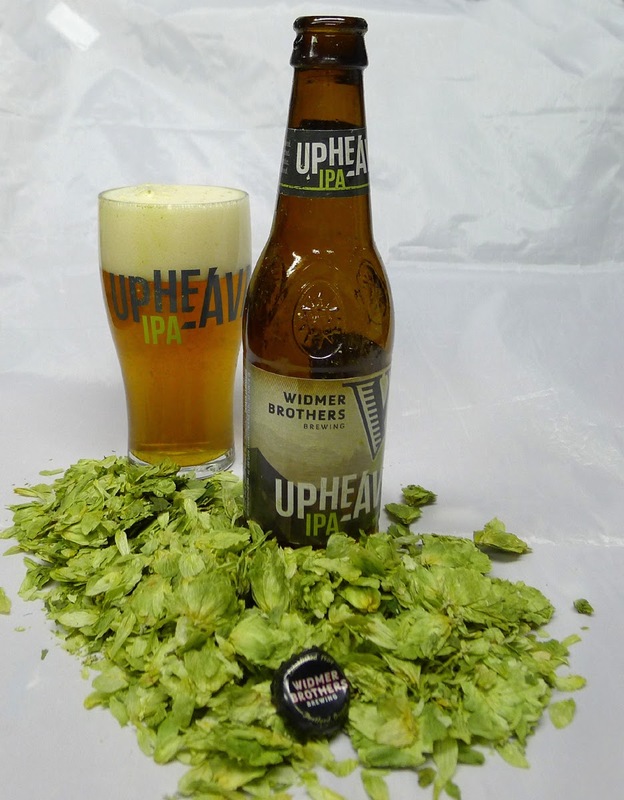 Samples of Widmer's newest IPA, Upheaval, arrived on my doorstep the other day. You did not need to know there was beer in the package to know there was beer in the package. Why? Because the box was full of loose hop cones that gave off a succulent aroma. It's an aroma that reminds me of summer. And great beer. Packaging like that can sway your thinking if you let it. I tried to block it out. I've never been a fan of beer reviews here. Sure, I'll provide of list of beers I liked from some festival. Strictly my opinion, strictly for use as guidance. I understand beer opinions are all over the place. What I like may fall flat on your pallet. And vice versa. No need to write reviews, then. Nonetheless, Upheaval is a beer you need to know about...and should try if you like bold, flavorful IPAs. I always ask myself when I drink any beer if I would order it again. In the case of Upheaval, my answer is a definite yes. The beer hits the mark across a pretty wide band of what I like in an IPA. They're using a combination of 2-Row Pale, Wheat and Caramel malts. The stats say 40 percent wheat malt. Since the beer is unfiltered, the result is a brilliant copper color that is slightly hazy. ABV is 7%, about the norm for a standard IPA. Highly drinkable. Hops are crucial in this beer, obviously. 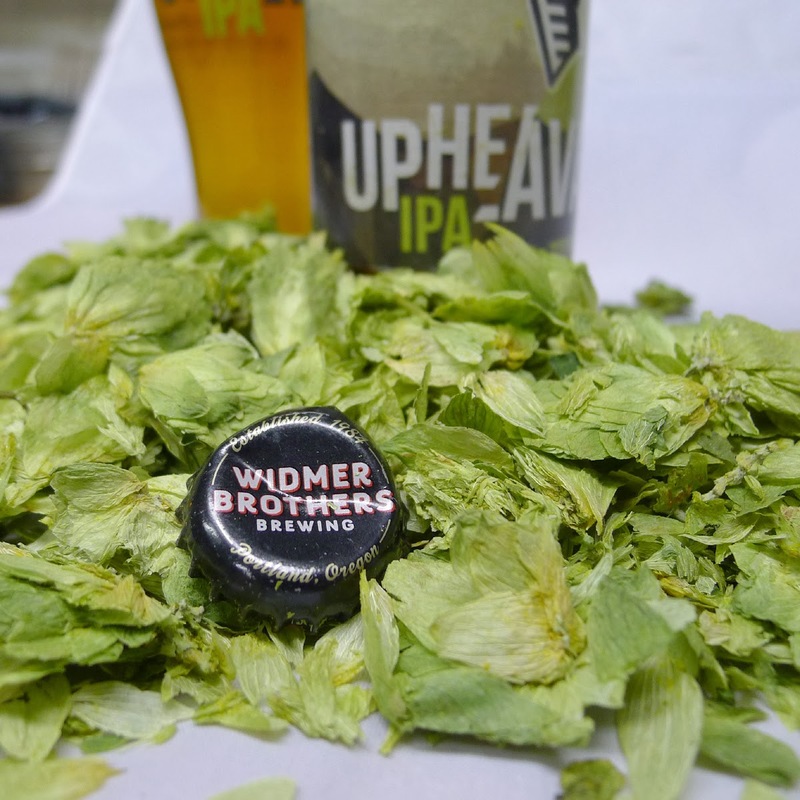 Brewers use more than two pounds of hops per barrel of Upheaval...more than any other Widmer beer. They use Alchemy for bittering; Chinook, Simcoe, Brewer's Gold, Willamette and Nelson Sauvin for aroma and flavor. They rate this beer at 85 IBU and it is fairly but not overly bitter. Aroma is not off the hook. Where you really get a blast of late addition hops is in the flavor. It's terrific. Upheaval hasn't yet hit the market in bottled form...it's been available on draft for a few months. They're saying bottles will hit store shelves on Monday, Feb. 10. I'm looking forward to getting some more of this stuff. Widmer is kicking the year off nicely.